A Bracha for Bernstein: When Mr & Mrs Abq Jew and his wife recently attended a live and in person performance by the wonderful pianist (and Congregation B'nai Israel landsman) Elias Axel Pettersson, they were both so moved that they were tempted to recite a bracha (blessing). Does Judaism even have a blessing for artistic talent? For a beautiful (abstract, of course) sculpture? For an outstanding musical performance? For a great night of theater? 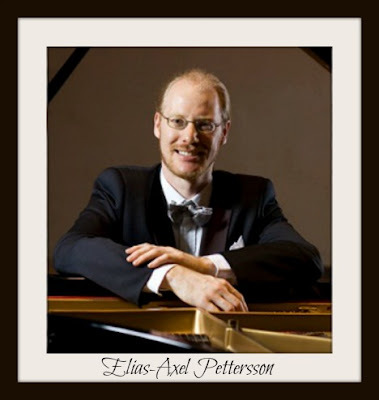 Hailed for his “breathtaking virtuosity and an intelligent sense of precisely what brings music to life” (Albuquerque Journal), Swedish-American pianist Elias-Axel Pettersson is quickly establishing himself as a formidable soloist and chamber musician. Pettersson is a Mason & Hamlin Concert Artist and has garnered prizes on the national and international level. He has been heard on national (USA) radio through KHFM and KUNM. 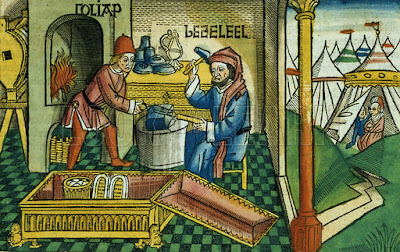 What brachas for the senses are in Judaism's repertoire? As it turns out, there are plenty. Upon seeing lightning, falling stars, lofty mountains, or great deserts: one recites "Blessed are You, Lord our God, King of the Universe, who has made the creation (עשה מעשה בראשׁית)." Upon seeing the ocean: one recites " ... who hast made the great sea (שׁעשה חים הגדול)." Upon seeing beautiful trees or animals: one recites " ... who has such as these in his world (שׁכּכה לו בּעלמו)." Upon seeing trees blossoming: one recites " ... who has withheld nothing from his world, and has created in it beautiful creatures and goodly trees for the enjoyment of mankind. (שׁלא חסר בּעולמו דבר וברא בו טובות ואילנות טובים להנות בּהם בּני אדם)"
Upon seeing a rainbow (this is one of Abq Jew's favorites): one recites " ... who remembers the covenant, is faithful to your covenant, and keeps your promise (זוכר הבּרית ונאמן בּבריתו וקים בּמאמרו)." So much for seeing nature. How about for seeing people? Upon seeing a sage distinguished for his Torah knowledge: one recites " ... who has imparted of his wisdom to those who fear him (שׁחלק מחכמתו ליראיו)." Upon seeing a wise man distinguished for other than Torah knowledge: one recites " ... who has given of his wisdom to flesh and blood (שׁתן מחכמתו לבשׂר ודם)." 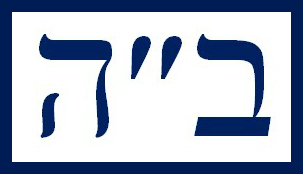 Upon seeing a Jewish king: one recites " ... who has given of his glory to those who fear him (שׁתן מכבודו ליראיו). Upon hearing thunder: one recites " ... whose strength and might fill the world (שׁכּחו וגבורתו מלא עולם)." Upon hearing good news: one recites " ... who is good, and who does good (הטוב והמטיב)." Upon hearing bad news: one recites " ... the true Judge (דין האמת)." Upon hearing the shofar: one recites " ... and who commanded us regarding listening to the sound of the shofar (וציונו לשמוע קול שׁופר)." Upon smelling fragrant fruits: one recites " ... who gave a fragrant scent to fruit (אשׁר נתן ריח טוב בּפּירות)." Upon smelling fragrant woods or barks: one recites " ... who created fragrant woods (בּורא עצי בסמים)." Upon smelling fragrant plants: one recites " ... who created fragrant herbs (בּורא עשׂבי בסמים)." 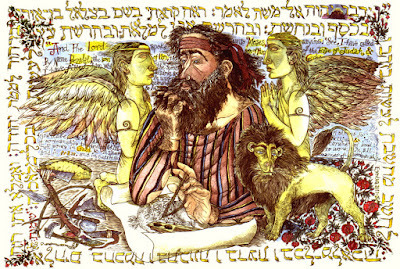 Upon smelling fragrant spices: one recites " ... who created various kinds of spices (בּורא מני בסמים)." Upon washing (lifting) the hands: one recites " ... and who commanded us regarding the lifting of the hands (וציונו על נטילת ידים)." Upon lifting the lulav: one recites " ... and who commanded us regarding the lifting of the lulav (וציונו על נטילת לולב)." Before eating bread: one recites " ... who brings forth bread from the earth (המוציא לחם מן הארץ)." Before drinking wine: one recites " ... who creates the fruit of the vine (בּורא פּרי הגפן)." Before eating almost anything except bread or drinking almost anything except wine: one recites " ... who with his word created everything (שׁהכּל נהיה בּדברו)." Astounding! It was actually, it was beyond belief. But they showed no corrections of any kind. Not one. He had simply written down music already finished in his head! Page after page of it as if he were just taking dictation. And music, finished as no music is ever finished. Displace one note and there would be diminishment. Displace one phrase and the structure would fall. 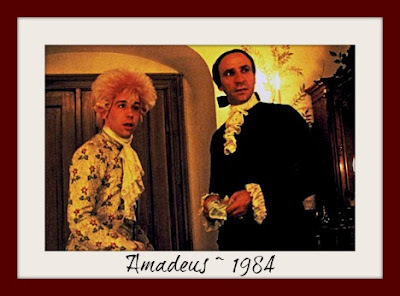 It was clear to me that sound I had heard in the Archbishop's palace had been no accident. Here again was the very voice of God! I was staring through the cage of those meticulous ink-strokes at an absolute beauty. Abq Jew has been forced over the years to concede that The Holy One, Blessed Be He, is, was, and will be neither a musician nor an artist. 5 and in cutting of stones for setting, and in carving of wood, to work in all manner of workmanship. So, Abq Jew hears you ask: Where is the bracha? That doesn't come until the very last verse of Exodus Chapter 39 - the story of the Golden Calf (oy!) intercedes. 43 And when Moses saw that they [Bezalel and Oholiab and other artist union members] had performed all tasks - as the Lord had commanded, so had they done - Moses blessed them. "Thanks for the work, boys!" - that's it? 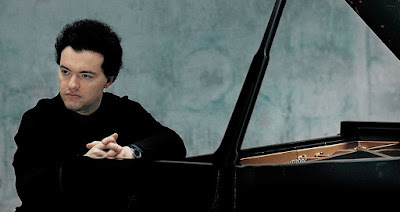 So here instead is another talented Jewish pianist, Evgeny Kissin. Chopin's second set of Études was published in 1837, and dedicated to Franz Liszt's mistress, Marie d'Agoult, the reasons for which are a matter of speculation. Thanks Marc for the lovely thoughts and comments.